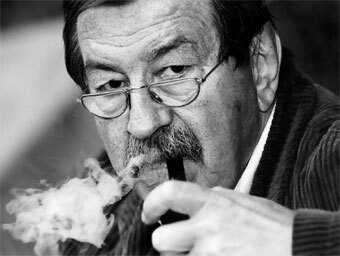 Just before he died earlier this year, Nobel Prize-winning author Günter Grass completed his last book, “Vonne Endlichkait.” It will be published this week in German. “Günter Grass left us a moving farewell,” said his publisher Gerhard Steidl at the presentation of the book “Vonne Endlichkait,” to be published in German on Friday (28.08.2015). An English version should be availble in the fall of 2016. The title is in East Prussian dialect and means “About Finitude.” Grass explored themes such as aging, loss, and the end of life, adding his own “subtle form of humor” to his reflections, which are at times “hilarious,” said Steidl. “The book is a literary experiment,” added the publisher. It combines a series of short prose texts, each accompanied by a poem and a pencil drawing by the author. Although it is made up of many short elements, a very clear narrative arc emerges from the work, said the editor, Dieter Stolz. Prose, poetry, and pencil drawing–sounds pretty cool–I’ll look for it when it comes out in 2016! in every writer’s spying nature and every impostor’s soul. I don’t know about his last book, but I just started The Tin Drum, and it’s starting out pretty damn strong.